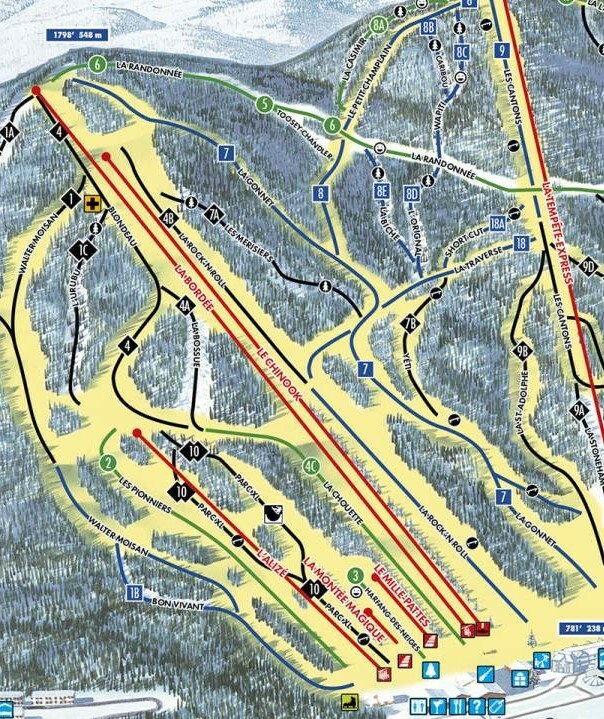 Stoneham, Quebec will build a new quad chair to replace this fifty year-old double and the T-bar next to it. Finally, some news from Canada! Resorts of the Canadian Rockies has announced two relics at Stoneham will be replaced with a Doppelmayr carpet-load quad in time for 2017-18. The 1967 Poma double La Bordée and 1986 Doppelmayr T-Bar Le Chinook will be retired. The new lift will be approximately 4,700 feet long with a vertical of 1,250′. Stoneham’s other lifts include a Doppelmayr bubble detachable and two Poma fixed-grip quads. 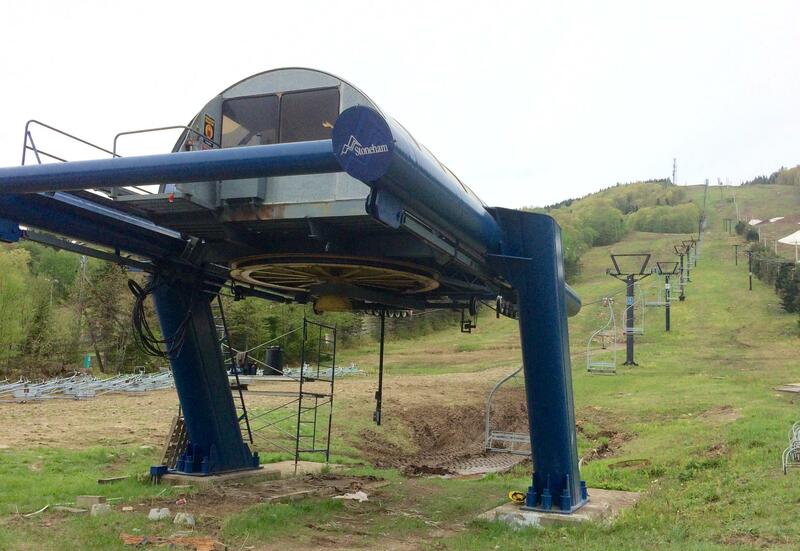 This is big news as the last new lift built at Stoneham is 28 years old! Thanks to Julien C. for the head’s up. Bit surprised they didn’t go with a high speed since their closest competitor (Relais) just did. Not sure how thrilled the locals will be about losing the T-bar. When I was there in Feb it was pulling at least 25 to 1 versus the double. On a side note, their bubbles are in MUCH better condition than the ones at St. Anne. Send that perfectly good T-Bar to Sugarloaf! Perfect for summit, racing, or King Pine. Speaking of Doppelmayr projects, does anyone know if the Mont Bechervaise and RiverWalk at Loon lifts are still happening? Both were announced over a year ago with crickets since. Mont Bechervaise sounds like a go for this summer.